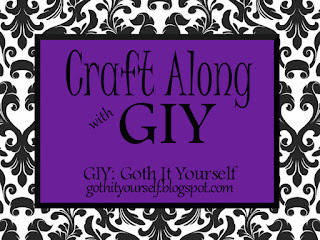 Cafe LaStrange: Craft Along with GIY: Screw the Rules! 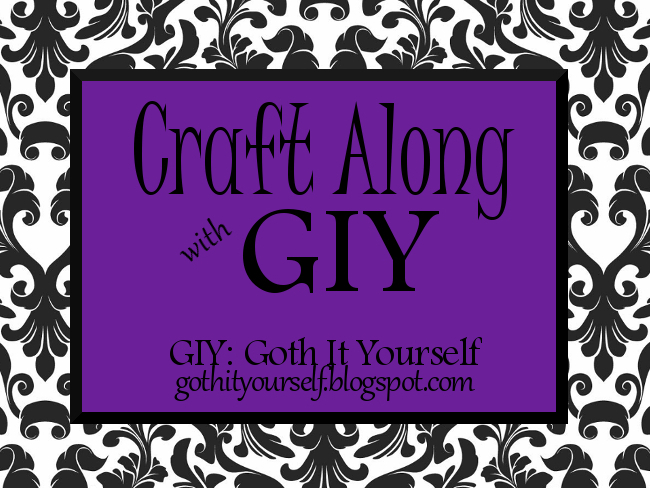 Craft Along with GIY: Screw the Rules! Hey, readers. Hope you all had a good Put Holiday that You Celebrate Here. The month of December is coming to a close. You know that means. Time to share my latest project for this month's Craft Along with GIY theme. This month's theme is Anything Goes. That pretty much means participants can create whatever they want without having to follow a specific theme. Last month, my brother took me to the craft store and treated me to a few things for my birthday. I ended up getting a bottle of white fabric paint (not glitter paint that drys clear), some necklace cords and these cute pendants. Along with a cross pendant that I already had in my possession, I turned them into necklaces. For the fairy pendant, I used a roped necklace cord that I also already had in my possession from a previous purchase. For the unicorn one, I used one of the cords that I recently got from Hobby Lobby. What I really liked about the cord was that it was covered in a velvet-like fabric. Due to the textures of the cords, these necklaces were one and done. No further embellishment was needed. However, I wasn't really satisfied with how the cross necklace and rose cameo necklace looked. For the cross necklace, I tried running a split ring through the small hole at the top of it so that I could fit it through the cord. After I got the split ring through, I saw that it got stretched out due to how thick the cross was. So, I removed the ring and replaced it with a new one and an earring hook that I fit through the hole and wrapped around it self. Not bad for my first attempt at wire wrapping. Probably not that clear in the picture, but all of that work resulted in some of the silver plating chipping off and exposing the copper underneath. I was not pleased. I ditched the earring hook idea and went with silver wire and spacing beads instead. Then, I ran one half of a toggle clasp through it. Success! Now, onto the rose cameo necklace. I ditched the necklace cord all together and went with eye pins and beads. After I was done with the necklace, I went ahead and made a pair of earrings to go with it. Another success!. Til next time. Those are all so pretty! Eye pins and beads were the perfect choice for the rose cameo. :D Thanks for joining the craft-along. Very nice! I like the matching necklace and earring set!